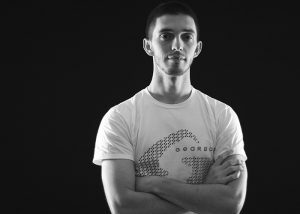 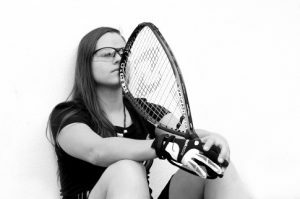 Sportfit Total Fitness and Racquet Club 204 Fort Meade Road Laurel, Maryland 20707 September 13-16, 2018 Draws: http://www.r2sports.com/website/event-website.asp?TID=29377 Reporting by The Racquetball Blog: https://theracquetballblog.blogspot.com/2018/09/the-irt-kicks-off-its-2017-18-season-in.html https://theracquetballblog.blogspot.com/2018/09/round-of-64-32-at-2018-irt-mwra-pro-am.html https://theracquetballblog.blogspot.com/2018/09/manilla-parrilla-into-round-of-16-at.html https://theracquetballblog.blogspot.com/2018/09/quarterfinals-at-2018-irt-mwra-pro-am.html https://theracquetballblog.blogspot.com/2018/09/carson-defeats-murray-to-win-2018-irt.html Reporting by Pro Racquetball Stats: http://blog.proracquetballstats.com/index.php/2018/09/12/irt-laurel-season-opener-preview/ http://blog.proracquetballstats.com/index.php/2018/09/17/irt-season-opener-in-laurel-wrap-up/ YouTube playlist of the matches broadcast by the IRT. 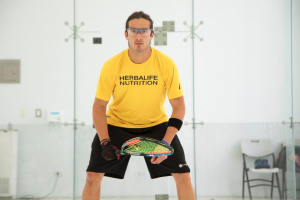 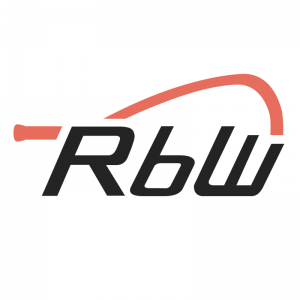 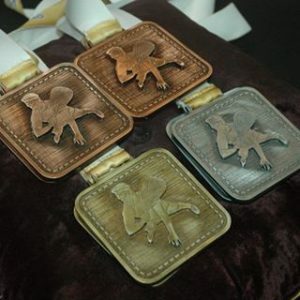 The International Racquetball Tour broadcast this tournament on YouTube and Facebook. 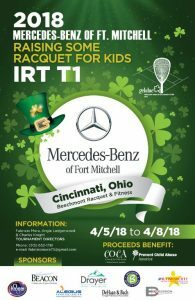 2018 IRT T1 Mercedes Benz of Ft. Mitchell Raising Some Racquet for Kids Beechmont Racquet Club 435 Ohio Pike, Cincinnati, OH Cincinnati, Ohio 45255 April 7-8, 2018 Scroll down to see the embedded YouTube playlist.